is for those who solely run their business or are looking to start a business. Greater business knowledge and awareness of possible business threats but also opportunities. Practical advice and insight on how to address the issues facing you and take advantage of any openings that present themselves. Guidance on cost effective solutions delivered in Plain English. Benefit from an easy payment plan, spreading the cost. FREE document library, supplying template contracts, letters and forms. Key tools for business success and profit improvement. a comprehensive business success program that builds month on month and during the first year alone would typically cost in traditional consultancy and coaching over £15000. A document library that will build into a resource worth well over £50000! 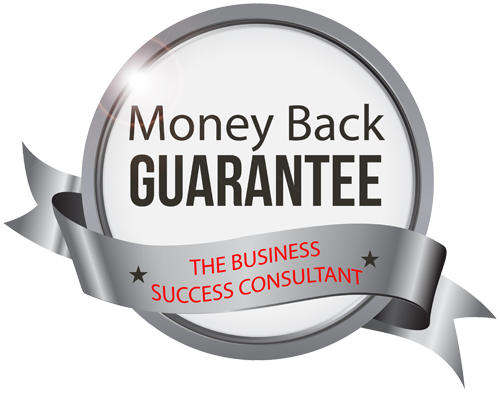 Find out more about my no quibble money back guarantee!